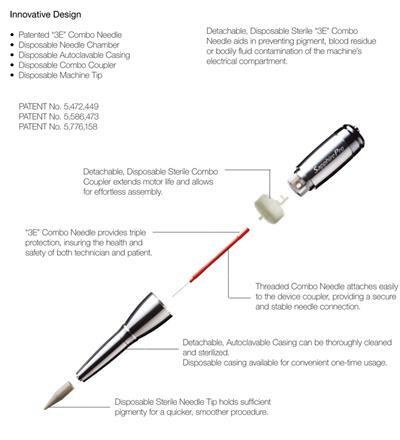 Individually packaged and designed for one-time use, this disposable 5-Prong Needle is for use with the Sapphire Elite, PRO or Sapphire 2000 Rotary Machines. Perfect for full lip and areola procedures, corrective pigment camouflage, eyebrow fill-in, skin and facial needling, tattoo removal, melanocyte restoration andscar relaxation. Clear Cream that is great for all procedures except eyeliner. Product used PRE-PROCEDURE & MID-PROCEDURE. Each 24gram container yields 30+ applications. 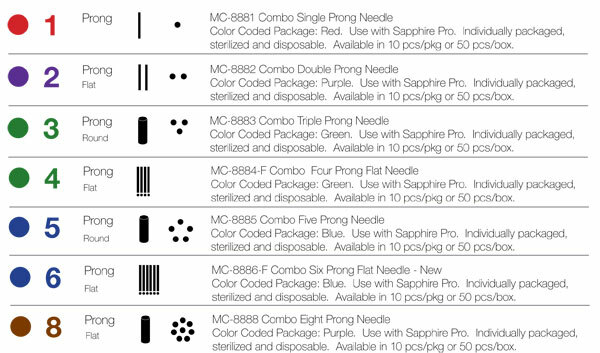 Tips for Sapphire Pro, Elite, and Sapphire 2000 needles. Compatible with 1, 2, 3, and 5 -Prong Sapphire needles. Order packages of 10 or 50 tips.